Intel has made interim CEO Robert Swan's role permanent, marking the first time the chipmaker has picked a leader who did not rise through the company ranks. Swan, 58, who was previously Intel's chief financial officer, served as eBay’s CFO for nine years before a stint in private equity and joining Intel in 2016. 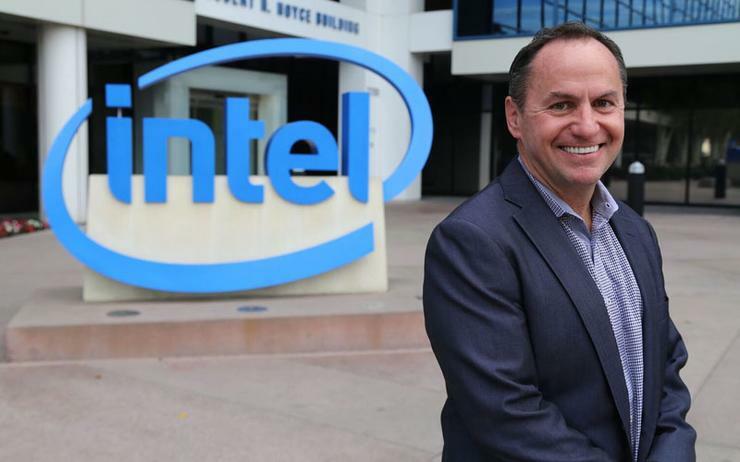 His career in corporate finance marks a sharp break from tradition at Intel, which has typically been led by engineers who spent decades at the company and time in both its microchip architecture and manufacturing businesses. Swan will be tasked with getting the chipmaker's struggling manufacturing operations back on track and fending off newer chip rivals that are eating into Intel's dominance in personal computers and data centres. "Our ambitions have never been greater and we have a relatively small share of the largest addressable market in Intel’s history," Swan said in a letter to Intel employees. "We must remain focused on playing offence and innovating for an increasingly data-centric world." Given Swan's short tenure and lack of experience in manufacturing, many analysts had said he was unlikely to be named permanent CEO. Intel's shares were down 2.6 per cent to US$46.29 in morning trading. Swan has also publicly said he was not interested in becoming the permanent CEO of the company. But sources familiar with the matter said Swan had privately said he would accept the role if offered. Swan has kept Intel's profit consistent with tight cost controls, analysts said. He helped Intel shares rebound after investors were spooked by a July disclosure that the company would miss the target date for its newest-generation chips, though the stock tracked the broader tech sector lower in the following months. But questions remain about Intel's ability to get its next generation of 10-nanonmetre chips to market by the end of this year in personal computers and early next year in data centres. "Swan is a rock-solid leader and financial manager," Chaim Siegel of Elazar Advisors said. "My guess why the stock's down is investors may have been hoping for someone with more of an operations focus to get them through these (chip manufacturing) transitions." In recent decades the chip industry has split between design and manufacturing, with manufacturing firms like Taiwan Semiconductor Manufacturing specialising in the factories that make chips while firms like Qualcomm Inc specialise in designing chips but outsource manufacturing. Intel is one of the few remaining companies trying to both design and manufacture chips. But it has faced fierce competition, losing its lead in making the world's smallest chip features to TSMC last year and facing an increasing threat from rivals like Advanced Micro Devices and Nvidia that do not make their own chips. Swan will most likely continue Intel's strategy of recent years to identify areas where it can expand beyond its core CPU chips, such as artificial intelligence chips, said Stacy Rasgon, an analyst with Bernstein. "Bob will keep the ship afloat. The ship is going where it's going," Rasgon said. "Hopefully there's no iceberg." But Swan will face tough choices, like whether to keep focusing on businesses like memory and modem chips that connect phones to wireless data networks. Those businesses are much lower margin than Intel's CPU business, Rasgon said. Other candidates analysts believed were contenders, such as Murthy Renduchintala, Intel's chief engineering officer and a longtime Qualcomm executive before coming to Intel, and Intel's data centre chief Navin Shenoy, have been immersed in the details of the chip business for decades. Media reports had also said Intel's board was interested in Johny Srouji, the Apple executive responsible for driving the increasing number of custom chips in Apple's devices. “I think the market was expecting a different choice - a marquee name with a lot of Silicon Valley and technology experience," Tigress Financial Partners analyst Ivan Feinseth said. Swan had been in temporary charge of the chipmaker since last June when Brian Krzanich left after an investigation found he had a consensual relationship with an employee in breach of company policy. Swan will be the seventh CEO in Intel's 50-year history. Intel said Todd Underwood, vice president of finance, would assume the role of interim chief financial officer as the company undertakes an internal and external search for a permanent CFO.